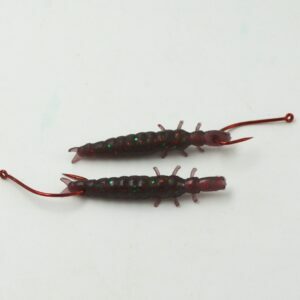 Caddisfly baits are easy to rig. 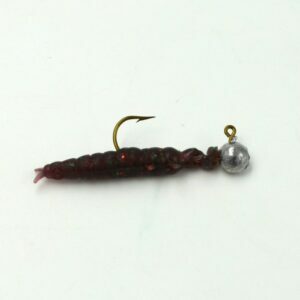 Collarless jig head is simple and effective. Variation where the nose is threaded in a zig-zag manner to prevent slipping on hook shaft. 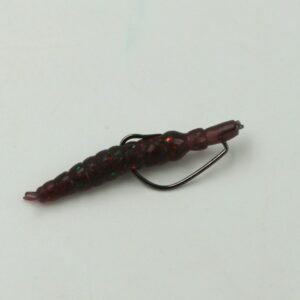 A miniature Texas rig. Just a hook and sinker is all that is needed. Hooking through the nose or tail is also quite effective.